Outsourcing can be a powerful strategic and competitive weapon. ZaZaChat has established strategic partnerships with Call Centers in India and Sri Lanka. Outsourcing not only reduces support costs, it improves support quality for customers and adds flexibility to your service options. Multinational companies are realizing the benefits of outsourcing customer support. They have increased productivity through improved focus on their core competencies, reduced costs and streamlined the support function. 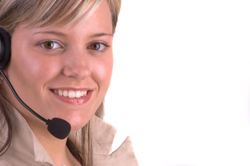 Outsourcing ZaZaChat is as easy as 1-2-3. Why? Because ZaZaChat is not only a Live Help tool it is also a market-leading knowledge base solution. ZaZaKnowledge © is a tool available to operators in ZaZaChat operator panel which maintains your organization's knowledge base database designed to eliminate repeat support enquires and offer reliable self-service online support to your outsourced operators. With the help of ZaZaKnowledge © your outsourced operators will be able to answer customer's questions and to forward questions not already in ZaZaKnowledge © to your team for review. Outsourced Operators using ZaZaChat in conjunction with ZaZaKnowledge do not have to undergo an intense training, all they have to do is know how to use ZaZaKnowledge © to lookup answers.